The BBA - Good for Business, Good for the Community, Good for You! 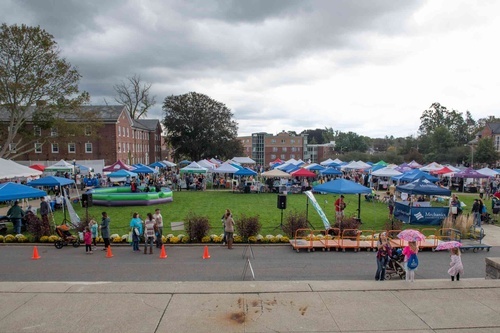 This year's event will be held on Saturday, September 29th, 2018 from 10-4 p.m. on the campus of Bridgewater State University in front of Boyden Hall on the quad. Autumn-Fest is a longstanding tradition in Bridgewater, MA, and is organized and presented exclusively by the Bridgewater Business Association (BBA) with the help of the University and Community Partnerships at BSU, Bridgewater Savings Bank, and the Bridgewater business community. It is attended annually by over 6,000 people. Saturday, September 29th, 2018 from 10-4 p.m.
BBA Members are FREE with paid membership. All food vendors must contact us through our Food Vendor Page, even if you are a BBA member. button in the menu above.